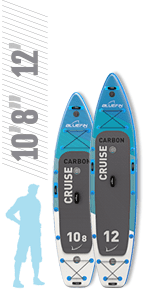 SPRINT – Ultimate Speed and Stability for Racing, Touring and High Speed Paddle Boarding. WHO IS THIS FOR? Beginners Through Experts, this one is for speed. 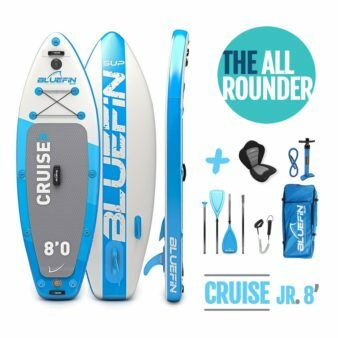 DESIGNED IN THE UK – Bluefin Rated #1 Best Inflatable SUP of 2018. 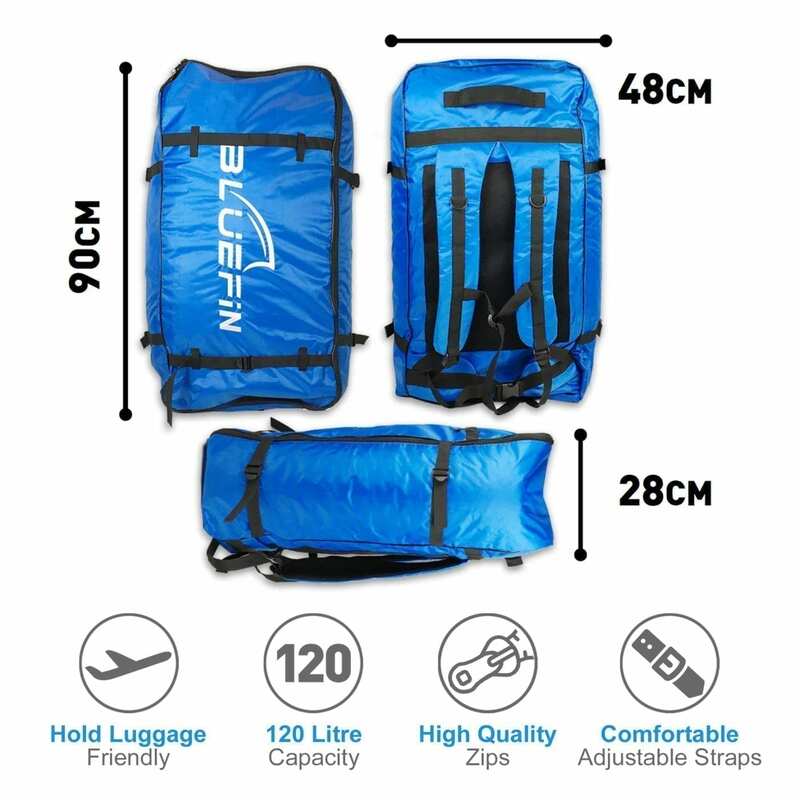 COMPLETE PACKAGE – Pump, Paddle, Bungee, Bag. 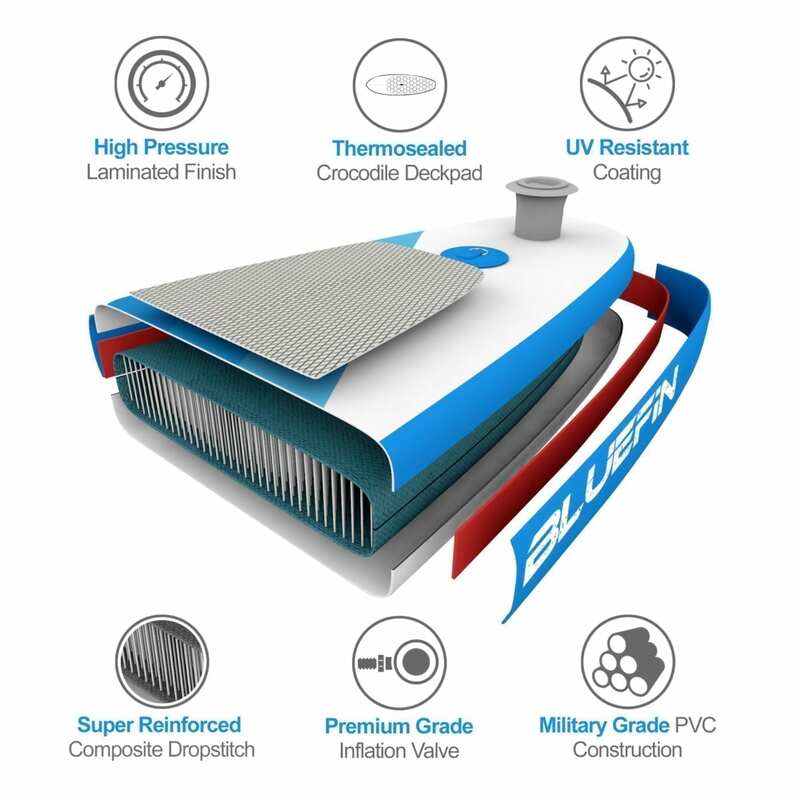 MILITARY GRADE DURABILITY – Built To Last a Lifetime. 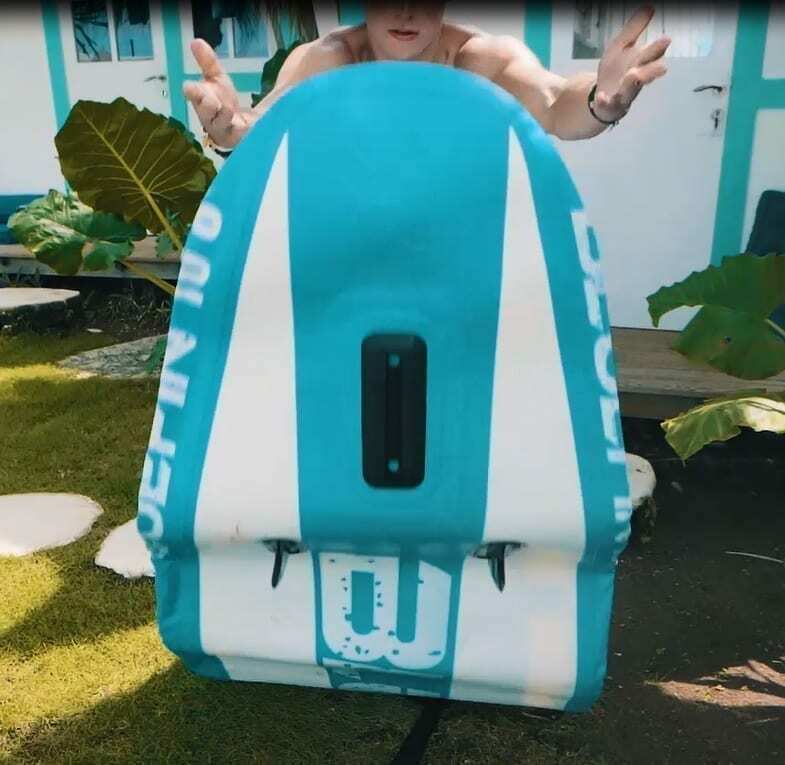 WHEN WILL I RECEIVE THIS? Standard shipping takes 3 to 4 days from dispatch. 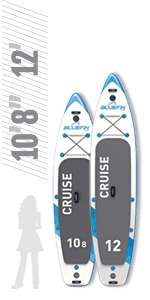 SKU: 7426796588011 Categories: Inflatable SUPs, SALE, WINTER OFFERS! 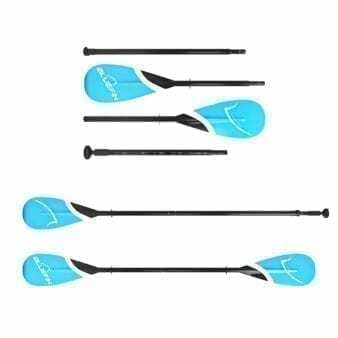 The Bluefin Sprint range of Inflatable SUPs are the ultimate race Stand Up Paddle Board packages available on the market. 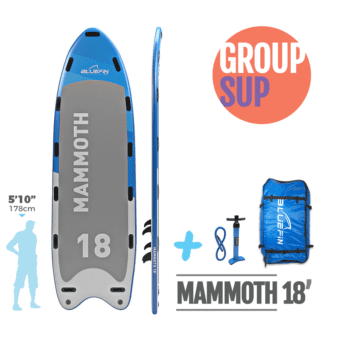 Our iSUP kits come with everything needed for beginner and experienced paddle boarders. 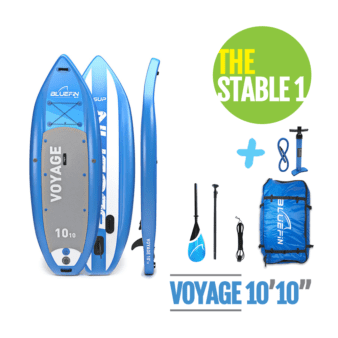 Now including Board leash, medium cadence paddle, detachable fins, dual action high-pressure pump and carry bag. Dual action pump with pressure gauge for quick and easy inflation. 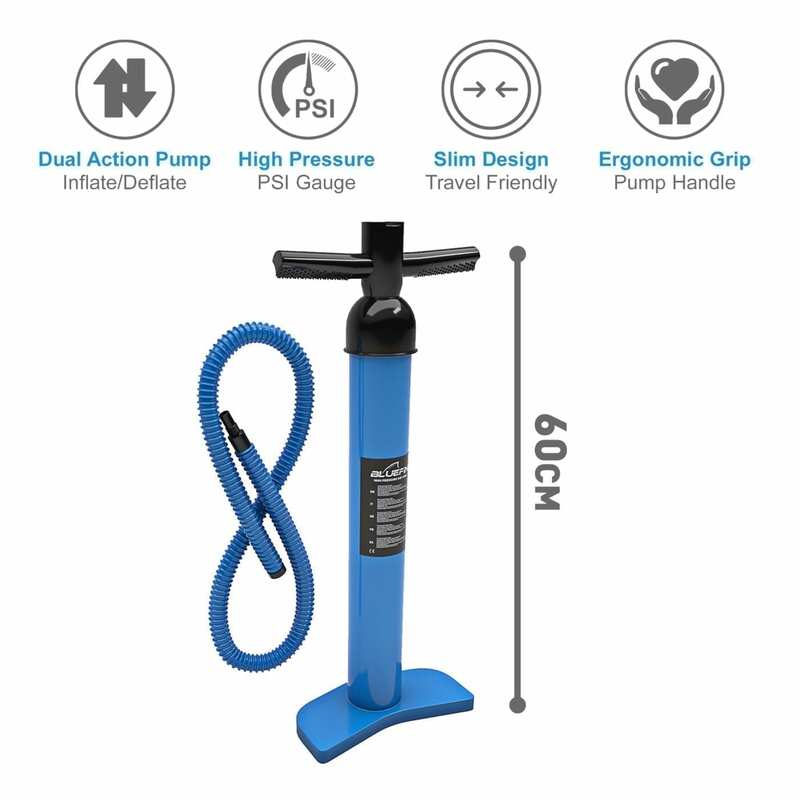 Inflate between 12 and 15 PSI for best results. 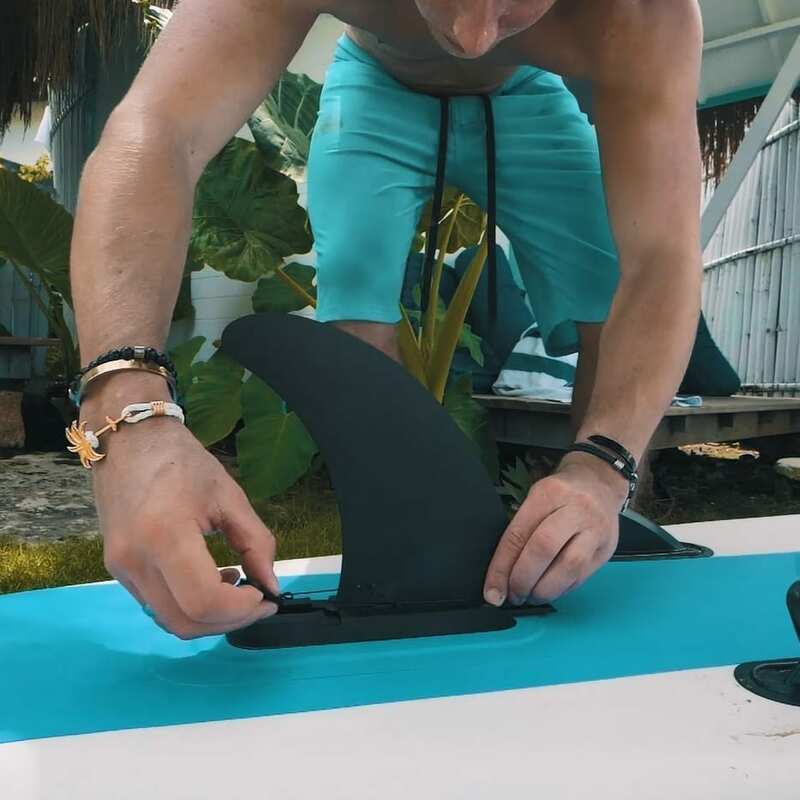 Multiple tracking fins for accurate handling and stability under any conditions. 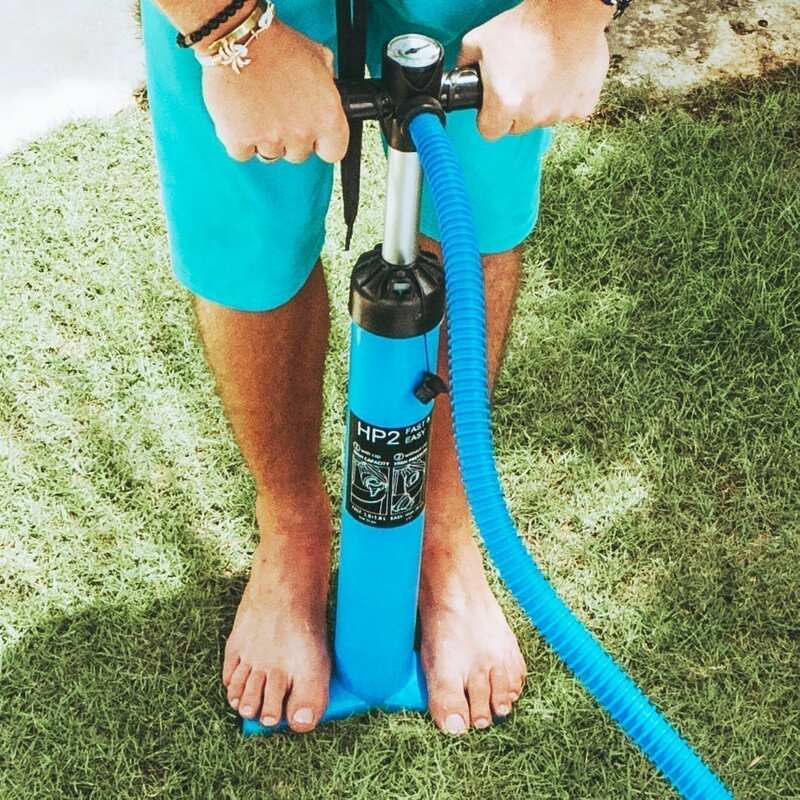 Take your SUP anywhere and on any water. At 14′ long the Bluefin Sprint SUP has been designed for speed and control. 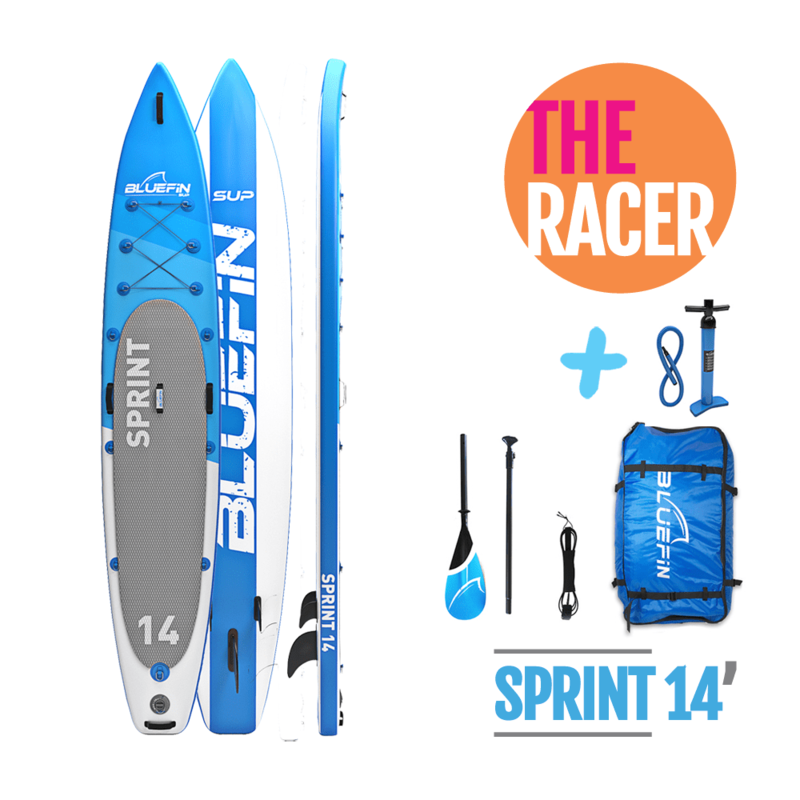 Perfect for high speed paddling and race events the Bluefin Sprint is the ultimate Race Paddleboard. 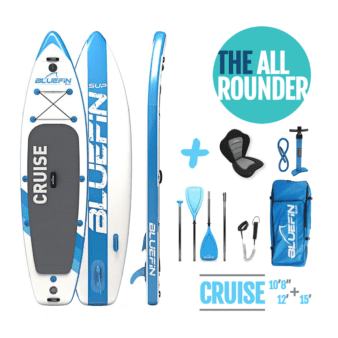 Bluefin Stand Up Paddle Boards deflate and pack down into the included backpack. 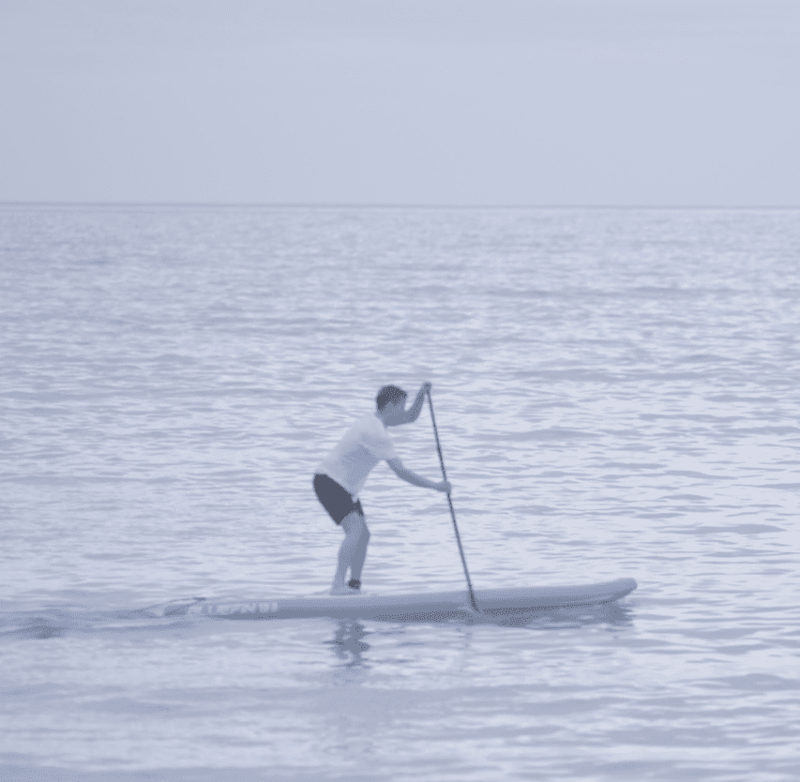 Your SUP will easily fit into any vehicle however impractical. Board all over the world with easy transportation on buses, trains and planes. 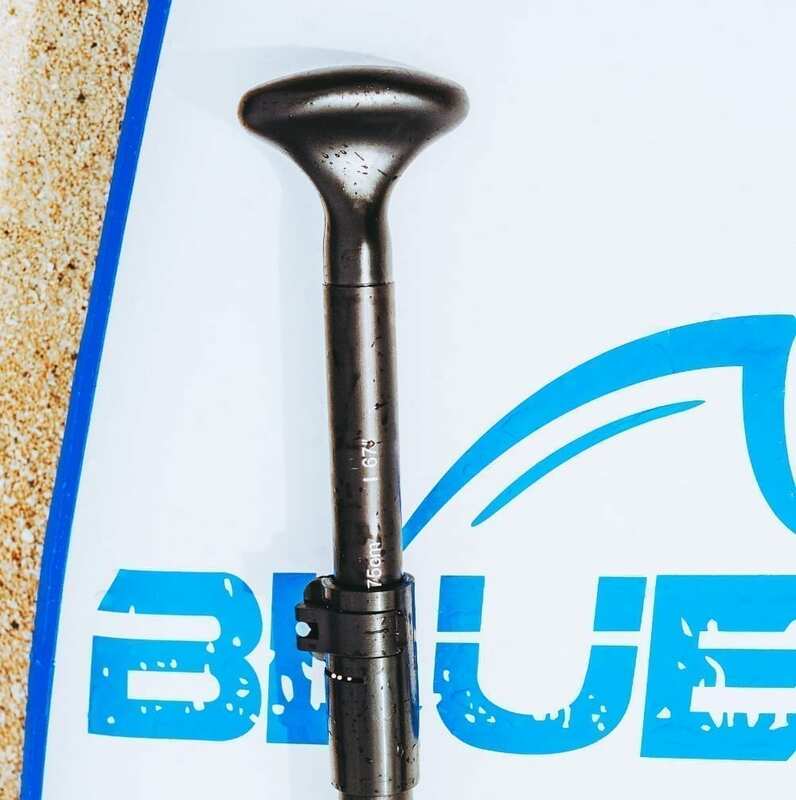 Bluefin SUPs offer limitless boarding opportunities. 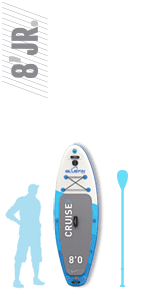 Take your Bluefin SUP to any body of water, suitable for lakes, rivers, canals, estuaries and sea. 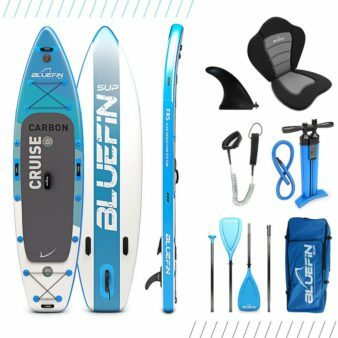 The Bluefin Stand Up Paddle Board can be used for everything from Paddle Board touring to high adrenaline wave riding. 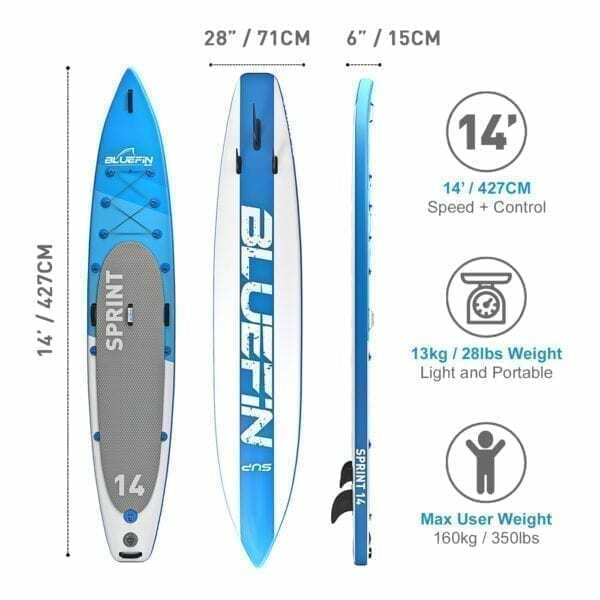 At 427 cm long and 71 cm wide the Bluefin SPRINT Inflatable SUP offers unrivalled speed, stability, and stiffness. 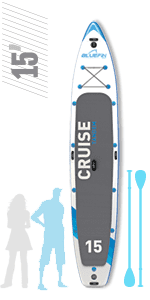 This Stand Up Paddle Board is suitable for teenagers through to adults on all types of waters. Due to the long and narrow board size this is the perfect Stand Up Paddle Board Kit for anyone wanting to take on Racing and High Speed Paddleboarding, anyone can get up and racing on the water with ease. 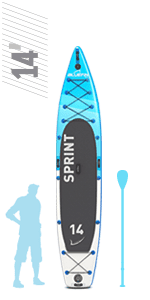 The SPRINT is perfect for long distance Paddleboarding, racing and high speed competition. 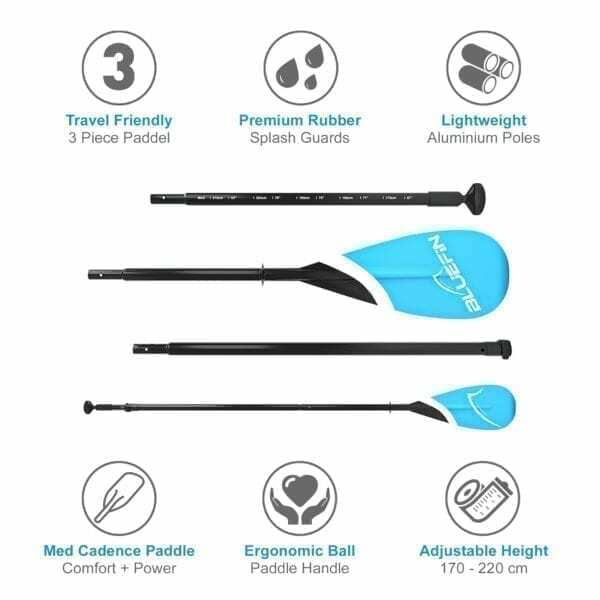 The Bluefin SPRINT inflatable SUP can be used for touring, surfing, white water paddle boarding, SUP racing, leisure paddling, Yoga and Pilates. 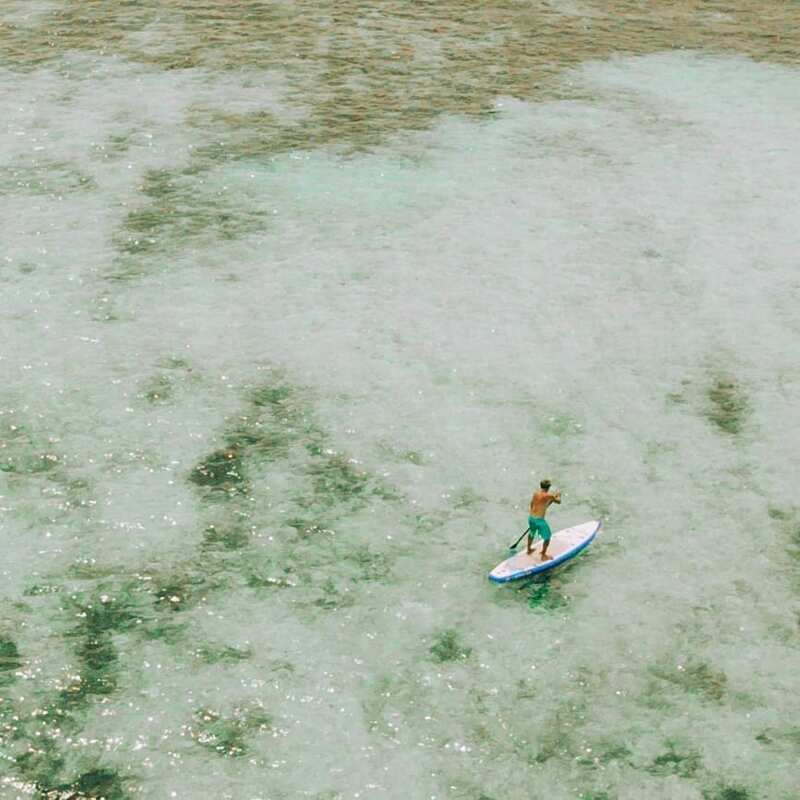 Because of the long hull design and stiffness, the Paddle Board is able to handle rough waters and is easily capable of handling chop and swell, allowing the user to cut and glide through the waves with ease.